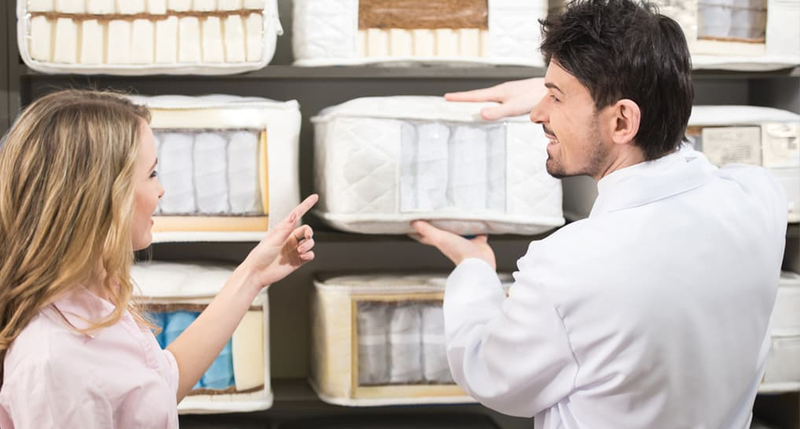 What Mattress Category/Type Is Good For You? Hybrid:Do you prefer a mattress that is just the right balance between conforming and bounciness? In other words, a bed that neither feels like you’re stuck or sleeping only on the surface with no contouring? A hybrid is designed specially to cater to these needs. Hybrid contains one or more layer of spring coils, and other surfaces including foam, memory foam, or latex. Good for: Couples or individuals who need a pressure relieving bed with responsiveness. Bad for: People who are on a budget or don’t prefer thick mattresses. Spring:Are you someone who likes the old traditional ‘bouncy’ mattress feel with coils and all? Then you might want to stick to a good quality spring bed. They may be made of Bonnell, pocketed, or continuous coils. Good for: Consumers seeking an inexpensive surface with proper bounce. Bad for: People with back pain problems, couples, or those who frequently move during the night.